Speaking Request Form: We’d love to present one of our topics at your event or location! See our Seminar Descriptions Page for details on all seminars we present. Below the calendar is a map of where we’ll be. 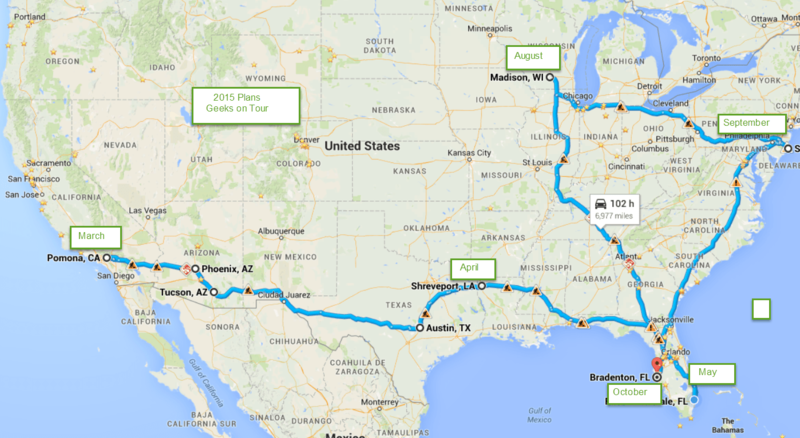 2015 Geek Travels | My new trip on Roadtrippers.com!